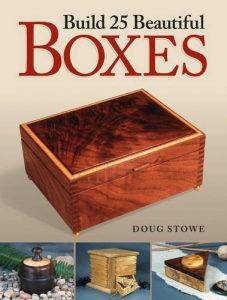 Was Stowe’s second woodworking book for Popular Woodworking Books. 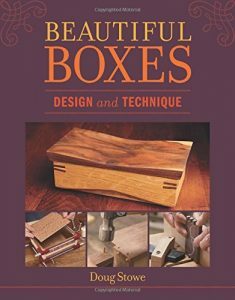 While it can be found in the used books market, most of its content has been republished in Doug’s book Build 25 Beautiful Boxes. 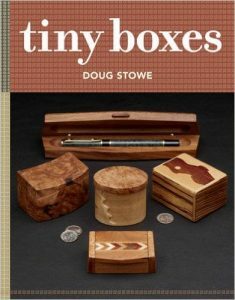 Doug Stowe’s boxes are more than functional; they’re inspired objects of beauty. Now you can recreate the same elegance in your own workshop with these 15 gorgeous boxes. 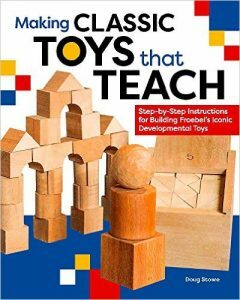 To help you craft each unique project, this guide includes step-by-step instruction, drawings, corresponding cutting lists, full-color photos and sidebars that detail the most difficult steps. Stowe also encourages you make each box your own by customizing his designs and selecting alternative woods and finishes.With Doug Stowe’s guidance, you’ll build more than boxes; you’ll craft treasured heirlooms as precious as the objects you place inside of them. 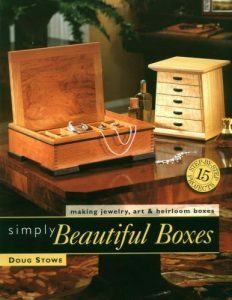 Take this guide and experience the satisfaction of creating simply beautiful boxes.